Above: The Bridge at Bladensburg, the scene of fierce fighting during the battle. 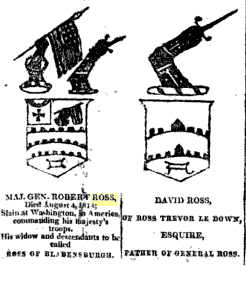 General Ross earned worldwide acclaim at the time for his victory at the Battle of Bladensburg in 1814. The general’s family was awarded the hereditary title ‘Ross of Bladensburg’ by the Prince Regent. At Bladensburg, American militia forces were routed by Wellington ‘Invincibles’ under Ross’ command. The Battle of Bladensburg is notable as the first occasion when the ‘Commander in Chief’ (the US president) was present on a battlefield and under hostile fire. The rout of the American forces famously occasioned a poem entitled the ‘Bladensburg Races’. The embarrassing flight of the American forces from the battlefield, it is worth emphasising, was far from a unique experience at the time. There were several notable examples of regular troops in other conflicts being mocked for fleeing from battlefields. Most strikingly, British troops fled from a combined force of French regulars led by General Humbert and Irish insurgents at Castlebar, County Mayo, in 1798, an event known at the time and ever since as the ‘Races of Castlebar’. Ironically, Humbert also helped to defeat the British at New Orleans in 1815. While American militia performed poorly at Bladensburg for understandable reasons, 120 US marines led by Captain Samuel Miller, fighting alongside 370 US sailors under the overall command of Commodore Joseph Barney, were acknowledged on all sides to have performed heroically, providing inspiration for the further development of the US Marine Corps. Per fess embattled argent and or, in chief issuant a dexter arm embowed vested gules, cuff azure, encircled by a wreath of laurel, the hand grasping a flag-staff broken in bend sinister, therefrom flowing the colors of the United States of America proper, in base the arms of Ross of Ross Trevor, on a canton of the third pendent from a ribbon, a representation of the cross presented by command of his majesty to the late major-general in testimony of this royal approbation of his services, with the motto Bladensburgh, and for a crest of honourable augmentation in addition to the crest of the family of Ross of Ross Trevor, the following, that is to say, on a wreath of the colors out of a mural crown or, a dexter arm grasping the colors as in the arms. 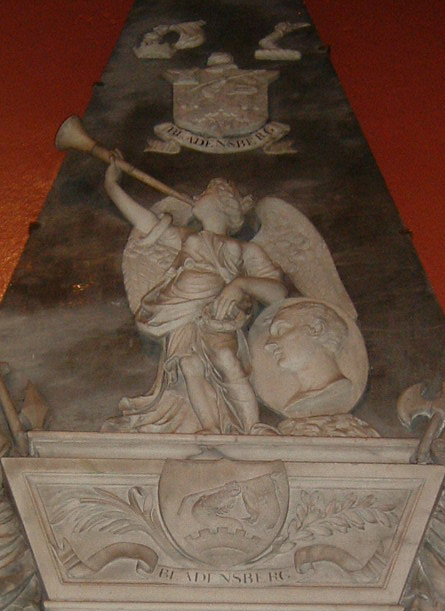 Above: Ross’ victory at Bladensburg is acclaimed by his old regiment, the XXth, in the monument it erected to his memory in Kilbroney Parish Church, Rostrevor, County Down, Northern Ireland. The grant application to start the archeological research and commemorative planning at the Battle of Bladensburg site has been approved. 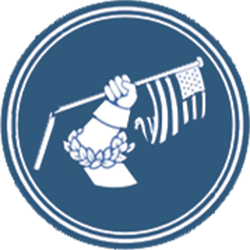 The grant is from the American Battlefield Protection Program of the National Park Service (NPS), and the archeological research will be done by the Cultural Resource Section of the Maryland State Highway Administration (SHA) in conjunction with the University of Maryland. The work will be a multi-year program to inventory the historic resources associated with the Battle of Bladensburg, recommend an appropriate preservation strategy, and prepare a long-term Commemoration Plan for the Battlefield site. Lecture by Denny Lynch, from Baltimore in Rostrevor, 24 July 2008. Dr Edward Furgol, Curator of the National Museum of the United States Navy. Dr Guy Beiner, Ben Gurion University of the Negev, Israel.